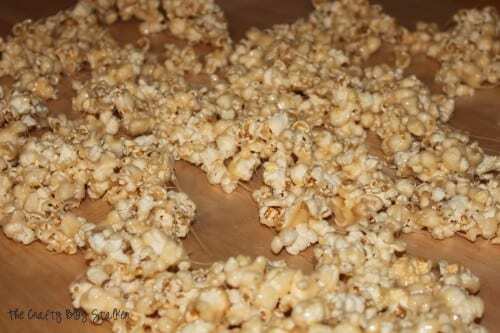 Butter Caramel Popcorn is a family favorite recipe. Simple to make with only 5 ingredients! Easy DIY Snack recipe Tutorial. 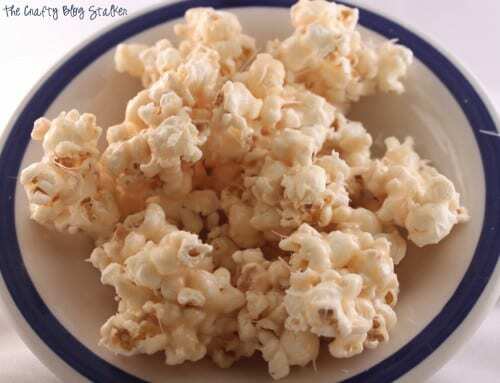 Oh how we love Sticky Popcorn! This is one of my kids favorite treats. We make it all year-long and love to share it with friends and neighbors. Air pop two batches of popcorn. My Popcorn Popper takes about 1/3 Cup kernels per batch. 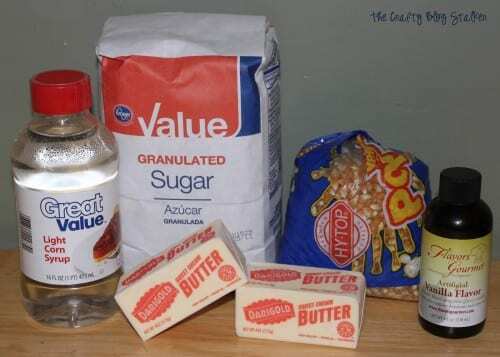 To make the caramel sauce, combine all ingredients except for the vanilla, in a pan over medium heat. When sauce begins to boil cook 5 to 7 minutes longer, stirring constantly. This is where you can decide if you would like sticky popcorn or crunchy popcorn. The longer you boil the sauce the harder it will dry. We like it a little sticky at my house so we usually go between 5 – 6 minutes. Then add the vanilla. Have the popcorn ready to go in a large bowl and pour sauce over the popcorn. Stir and mix well. 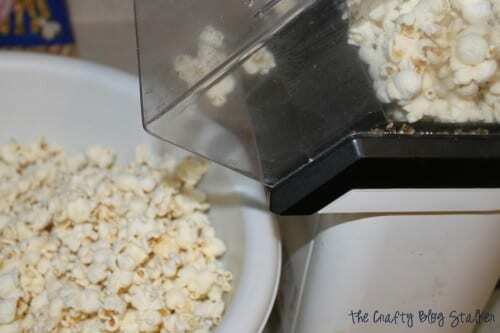 Lay a couple of long pieces of wax paper on your table or counter and spread the popcorn out so it can cool. Let it cool for about 10 minutes. Combine all ingredients, except vanilla, in a pan. Pour sauce over the popcorn. Stir and mix well. Break into pieces and enjoy! You can store leftovers in an air-tight container. 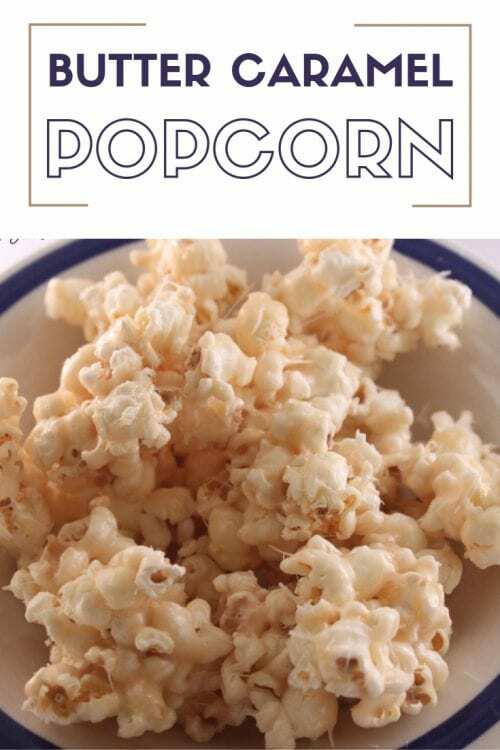 SAVE HOW TO MAKE BUTTER CARAMEL POPCORN TO YOUR FAVORITE PINTEREST BOARD! It really makes my mouth watering and its yummy, definitely I will try this.. This looks great! Thanks for the recipe!! I will have to try this soon! My mother made this when we were younger and I used to make it for our daughter. I only make it once a year or so as it is so terribly fattening. It is wonderful!!!! I didn’t have corn syrup so I used I cup brown sugar / half cup of honey & 1 cup of sugar .. plus the butter .. it was great !